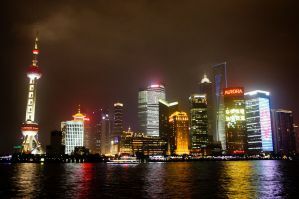 Shanghai, Beijing, Xi'an, and Hong Kong are four of the most popular destinations in China. They all have the perfect combination of modern glitz and old world charm. These cities come to life at night when the skyscrapers light up and the streets fill with people. Restaurants and bars stay open late into the night and the atmosphere is fun and glamorous. Although China does not have the same backpacker crowds that can be found in Europe or South America, there is still a well established hostel network that appeals to younger travelers who are looking for a good time. Students keep the city lively and there is no shortage of activities and nightlife for enthusiastic travelers. The party hostels listed below will make sure that you have a great time, enjoy the nightlife, and make some new friends along the way. How much do hostels in Shanghai cost? 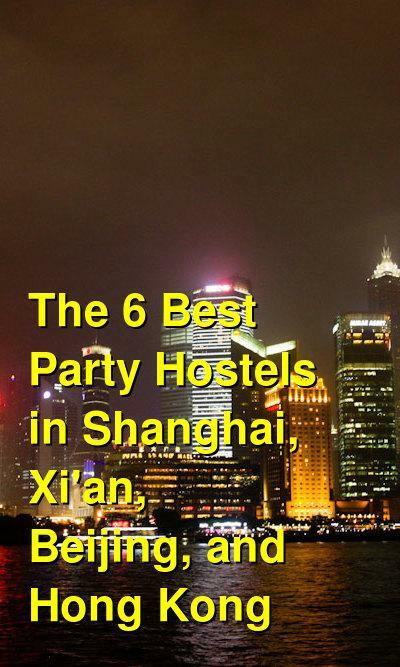 What are the best party hostels in Beijing, Xi'an, Shanghai, and Hong Kong? Located in the heart of Shanghai, this hostel is a great option if you're hoping to meet other travelers during your time in the city. It's conveniently located near everything you need to see and do. It's only a five minute walk from East Nanjing Road and is fifteen minutes from the Bund. The metro also makes everything around the city easily accessible and there's a stop only 300 meters away from the hostel. The staff work to make sure that the hostel has a homey feel with comfortable rooms. There air conditioning and hot water available throughout the day. The hostel stays lively as there is an onsite bar where many guests hang out. You can also enjoy the many free movies they have available, the pool table, free books, board games, and foosball. The hostel also offers the standard amenities including internet and wi-fi service. This is a great option for young travelers who are hoping to meet others and make some friends while they're on the road. Shuyuan International Party Hostel is perfectly located in the heart of the flourishing cultural and shopping district. The location is definitely the best in Xi'an, as it's so central and easy to find everything; you truly are in the heart of Xi'an culture.. This hostel features free weekly BBQs and dumpling parties as well as Western food in their bar and restaurant. The hostel itself is a rare, preserved traditional Chinese courtyard house, an original and not a recently rebuilt imitation building. They have several outdoor and indoor seating areas with a very relaxing atmosphere, including a chill-out garden plus a popular cafe, free Wi-Fi, very friendly staff, a great atmosphere and lots of travelers. All of the staff speaks English and will do their best to make your stay in Xi'an as comfortable and accommodating as possible. They also offer tours and guides to Xi'an's most famous sites. If it is off the beaten track you are looking for, they have plenty of tips for you there too. Every Friday night they hold a free dumpling-making party, a perfect opportunity to get to know new friends and Xi'an's culinary traditions. Mixing Western and Chinese style, it's a candlelit affair with music and plenty of fun. They also have one of Xi'an's most popular bars in-house. Park Qin bar is a place where locals and travelers mix, laugh, and enjoy the evenings. They provide many free services, including free train station pick-up at certain times, a library of English books and guidebooks, luggage storage, domestic and international plane ticket booking, travel info, hot showers, local area maps, a DVD room with a wide selection of subtitled movies, and free billiards, dart board, guitar and table tennis. They also feature laundry facilities, a bike-hire service, airport pick-up and transfer, live sports matches and news, international IP calling cards and an onward booking service for other popular hostels throughout China. Free city maps, Wi-Fi, and linen are included and towels are available for hire. Happy Dragon Courtyard offers a wonderful traditional atmosphere while combining great value with space, comfort, entertainment, and a super-convenient location for seeing both ancient and modern Beijing. All of the well-lit private rooms and standard dormitories are warm and comfortable, cleaned daily, with beautiful wooden decor, hot/cold shower (western) toilet washrooms with free toiletries, slippers and towels provided free, plus fresh clean linen on comfortable large beds, and hot and cold air-conditioning. There is also free Wi-Fi throughout the hostel. The property is located within 2 minutes walking distance to Zhangzizhonglu subway station. This area is primarily locals, so you don't pay tourist prices. And the central location provides an ideal base to explore the city, as well as being right next to Dongsibeidajie main shopping street offering just about everything and anything you could wish for (including banks with international ATMs, 24/7 convenience-stores, many varied restaurants, fashion shops, and boutiques). The onsite restaurant offers comprehensive menus of both Asian and Western food (including an all-day breakfast) prepared by specialist chefs, as well as a great drinks selection including fantastic coffee, Chinese teas, cheap draft beer, international beers and a full spirits selection. The hostel hosts parties and events to help guests meet others and get to know the culture. Free Wi-Fi, linen, and towels are included. The Leo Hostel is rated one of the best hostels in Beijing for a reason. With the clean linens every day, clean rooms, soft cozy mattresses, the great bar and restaurant, and the helpful English speaking staff, this is a great option for exploring Beijing. The Leo Hostel is ideally located in the most central and historical area of Beijing, around Tian'anmen Square. All major attractions are within a short walking distance from the doorstep. Here you will find famous shops, supermarkets, night food market, and so much more. It is also a great place to experience the Hutong culture in Beijing. Free city maps, Wi-Fi, linen, and towels are included. Discover the new generation contemporary-styled backpacker properties with Urban Pack, one of the newest design property's in Hong Kong. The hostel is located at the very heart of the city, among the bustling streets of Hong Kong, seconds away from the Tsim Sha Tsui station and Kowloon Park. It is also within walking distance to many major attractions such as Avenues of Stars and the museums, and several fabulous local eateries at every turn to cater to the unique tastes of all backpackers. The hostel is also only minutes away from the China Ferry Terminal if you choose to travel onwards and the Star Ferry to venture out across the island. Free city maps, Wi-Fi, and linen are included and towels are available for hire. Traveler's Pack is aimed at providing budget and comfort accommodation to all travelers. If you are looking for a clean, safe, friendly place to rest after a tired day of sightseeing, shopping, or hiking, this is a great option. The facility regularly organizes group activities like hiking, drinking and partying for guests to enjoy. The friendly staffs are always ready to help with everything you need and to provide comprehensive local tourism information. Free city maps, Wi-Fi, linen, and towels are included.